A familiar face has been tapped to lead the Roanoke Rapids Graded School District’s early college program. Trustees approved longtime Roanoke Rapids High School Principal Tammie Williams as the new Roanoke Rapids Early College High School Principal. “Ms. Williams has a great history of leadership with this district and has spearheaded numerous programs to improve students achievement at our high school,” said Dain Butler, Superintendent. As a former transition academy director, and former instructional coach for the Department of Public Instruction, Ms. Williams has more than 34 years experience in education. Current Chaloner Middle School Principal Jeff White will take over at Roanoke Rapids High School. Under White’s leadership, the Department of Public Instruction named Chaloner Middle School in the top 5% for student growth in the state last year. White was named the district’s Principal of the Year in 2017 and has served on the Governor’s Task Force for Safer Schools. Dr. Marcus Carey, who recently earned his Doctorate in Educational Administration and Supervision, will become the new principal at Chaloner Middle School. 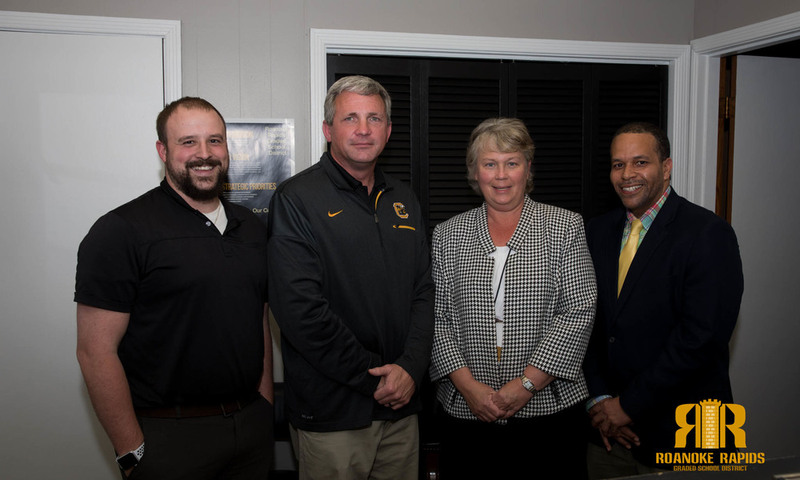 Carey was the former district-wide Parent Involvement Specialist and most recently served as the Assistant Principal at Roanoke Rapids High School for two years. “Both Mr. White and Dr. Carey are proven leaders who have the respect of our students, staff, and community. I have no doubt we will continue to excel under their leadership,” Butler added. Former RRGSD Teacher of the Year and Belmont Elementary School Assistant Principal Patrick Quast will be moving to Roanoke Rapids High School as the new Assistant Principal. In other news, the board gave direction to staff regarding the approximate $30 million dollar 2018-19 budget. “Noteable cuts were made to the central services and Board budget to preserve resources within the classroom. We’re maintaining our fund balance and everyone stays employed under this proposed budget,” Butler added. The board decided to continue to provide funding for classroom instructional coaches and school social workers in an effort to protect the district’s instructional goals. Trustees also recognized Chaloner Middle School’s first place Math Champions team. 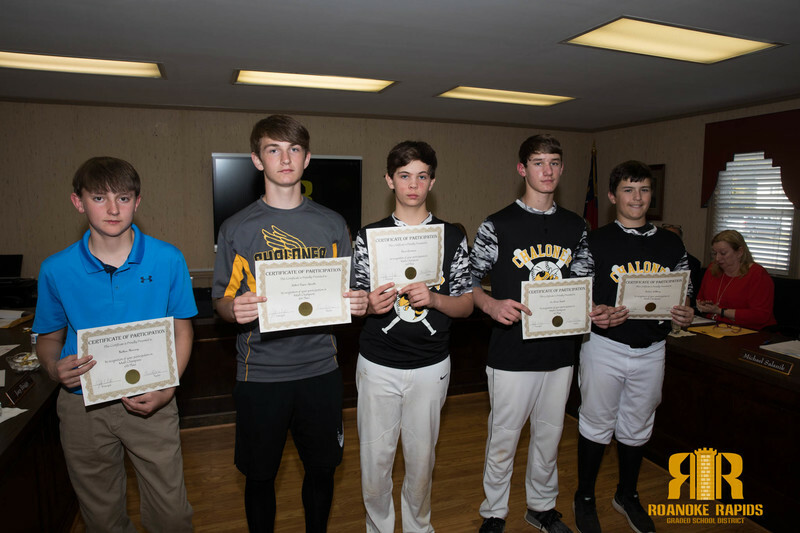 Students Davis Liverman, Nathan Manning, Robert Keyes-Sparks, Jon Lewis Temple, and Drew Williams were given certificates. Temple also received a first place individual award. Third place was awarded to Davis Liverman, Robert Keyes-Sparks placed fourth, and Manning placed sixth. Belmont Math Champions included 4th graders Colby Powell first place and Cody Brigman third place. 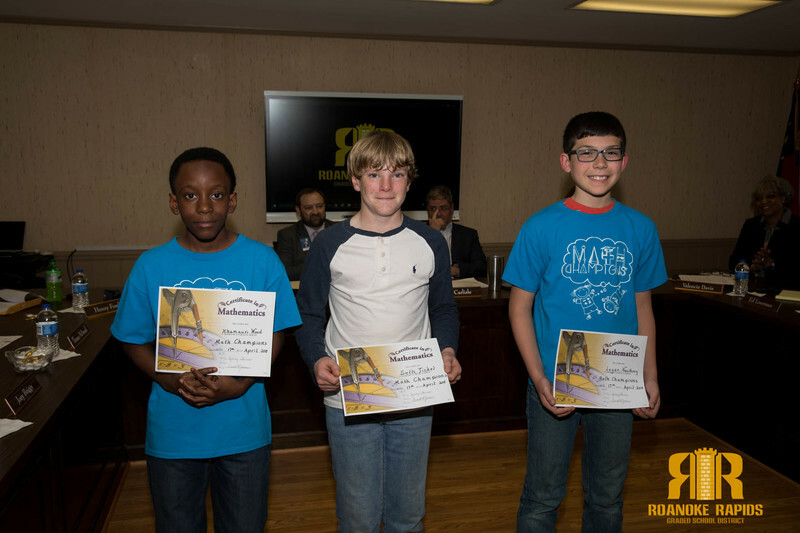 Fifth Grade winners were Logan Neathery, second place, Seth Tickel, third place, and Khamauri Wood, fourth place. Manning’s Math Champions winners also received certificates from Trustees. 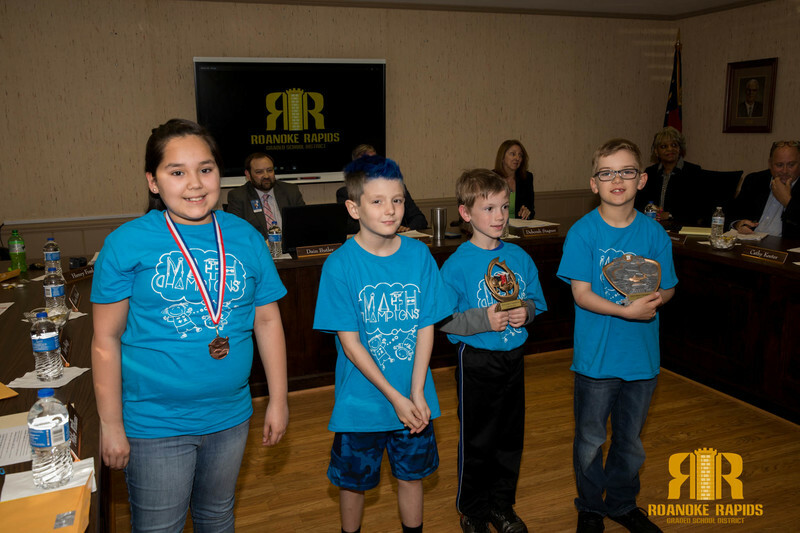 Fourth grader Luke Rieck earned second place and Abygail Magana placed fourth. Fifth grader Reagan Taylor earned fifth place in the competition. 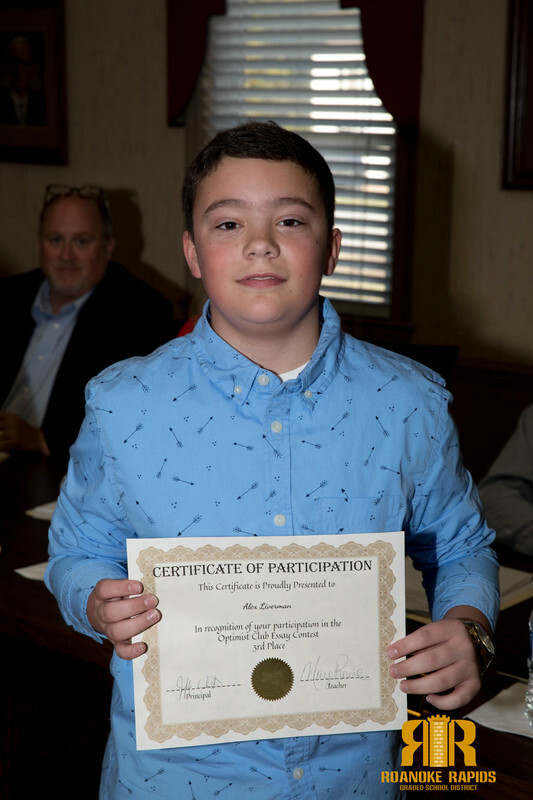 Chaloner Middle School student Alex Liverman was also recognized by the board for his 3rd place win in the Optimist Club Essay Contest. The board also celebrated Roanoke Rapids High School senior Alison Chau on being named one of this year's Ethel Crawley Scholarship recipients. The scholarship will provide Chau a free undergraduate education to the college of her choice. 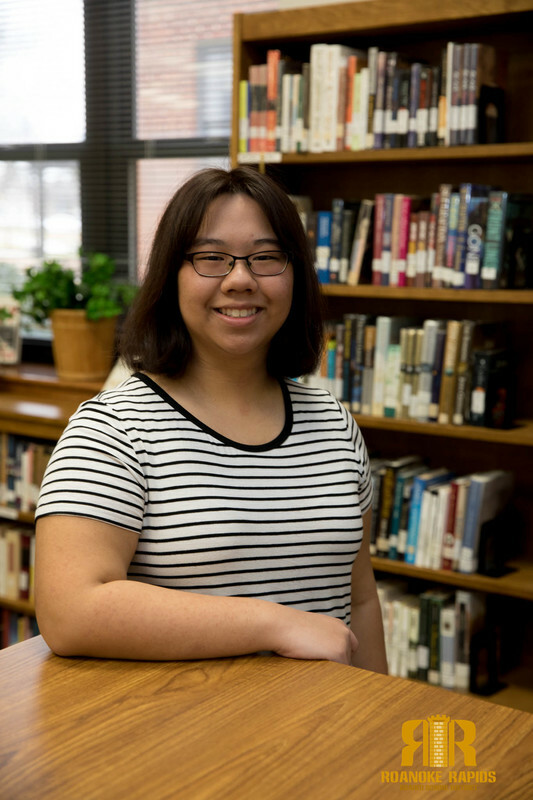 Chau who is member of the National Honor Society, captain of the school’s Quiz Bowl team, and president of the Students Helping Students organization plans to attend The University of North Carolina at Chapel Hill this fall and major in English and education. She currently volunteers with the district’s English as a Second Language (ESL) program and says she would like to one day become a teacher in a similar program.